﻿ Yooka-Laylee Gameplay Mechanics, Storyline, Trailers And More! 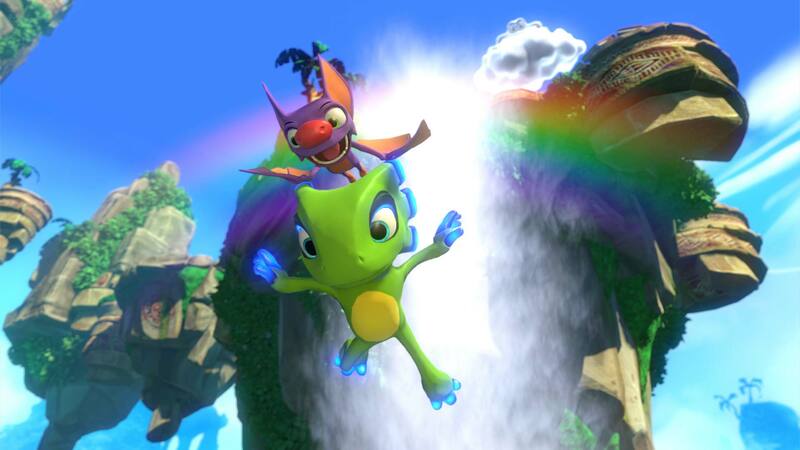 Yooka-Laylee started life as a Kickstarter campaign in 2016. The Kickstarter page promised that this game would breath new life into the 3D platformer genre which was made popular in the late 90’s by the game’s developer Rare Ltd. Rare created classics Banjo-Kazooie and Conker’s Bad Fur Day which took the N64 game console by storm. The Yooka-Laylee Kickstarter even dubbed Yooka-Laylee as a ‘Rare-Vival’. It’s soul purpose was to bring 3D platformers back from the dead and up to date with current generation gaming platforms. 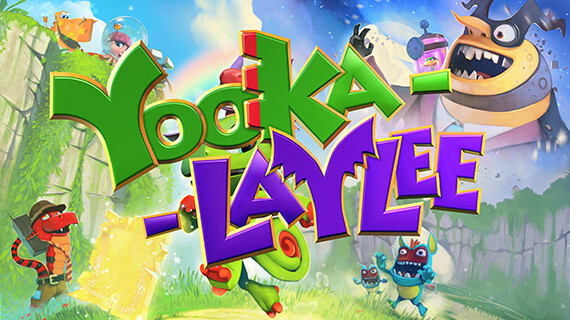 The developers behind Yooka-Laylee are Playtonic Games, an indie games developer who are made up of mostly original Rare Ltd designers and coders. It is safe to say that there is no better team to develop Yooka-Laylee as these guys are the forefathers of the 3D platformer. 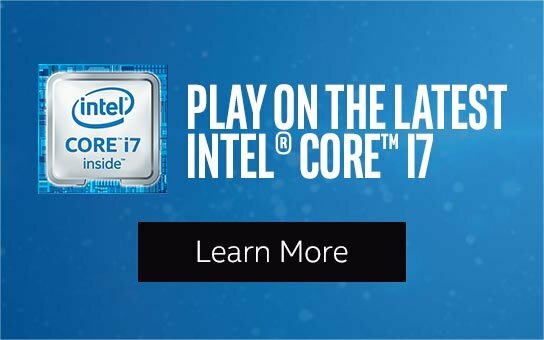 So what is Yooka-Laylee? Much like Banjo-Kazooie, the game stars two protagonists, a chameleon named Yooka and a bat named Laylee as they embark on a quest to overthrow the meanest of bumble bee dictators, Capital B. Capital B’s and his accomplice Dr. Quack’s dastardly plan is to absorb the world's literature and converting it into profit for Capital B’s business which resides at Hivory Tower. It is up to Yooka and Laylee to explore new lands, collect ‘pagies’ and save all of the literature before Capital B and Dr. Quacks full plan plays out. 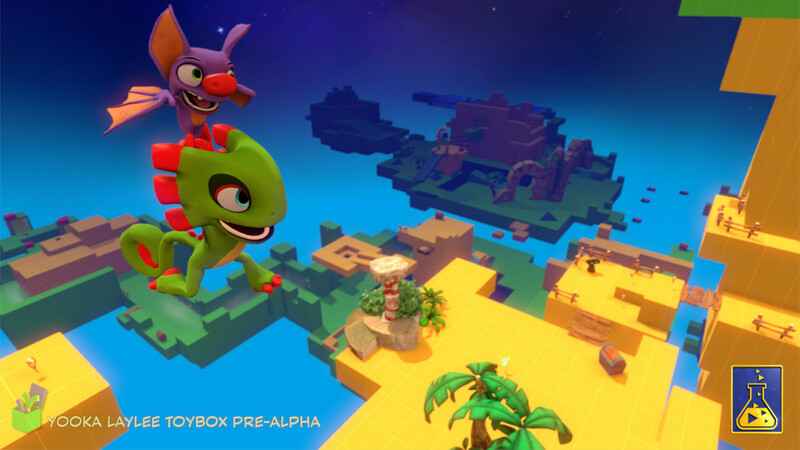 During the games development a Toybox demo for Yooka-Laylee was released on the 28th of July 2016 for some of the Kickstarter backers. It is a self contained spoiler free sandbox which gives players the opportunity to test out Yooka-Laylee’s mechanics. There are collectibles to find, secrets to discover and custom built props to play with. 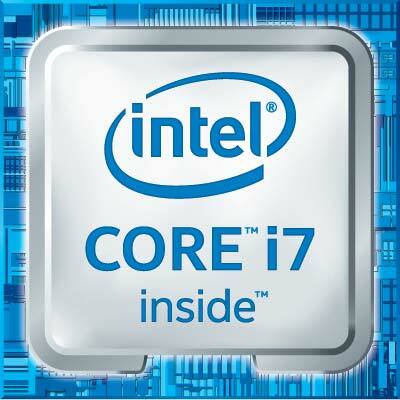 As it was a early build of the game, the visuals have been described as ‘incomparable’ to the final version of the game. It is great to see that the old-school 3D platformers that Rare made famous back in the 90’s are on the come back. We have had some hands on time with Yooka-Laylee and we can safely say that this is going to be a great games that will appeal to all gamers on varying levels.